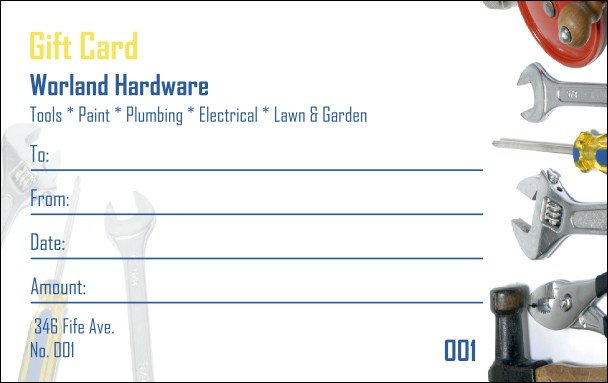 Build up your sales with this Hardware Gift Card. Complete with various tools, white background, and blue and yellow text. Just fill in the information for your hardware, handyman, contractor, electrical, or plumbing business and you will be on your way to a sturdier customer base. This gift card is 3.38" X 2.13".